Výstavy: WW 2017, CIE, CIB, Grand CH. 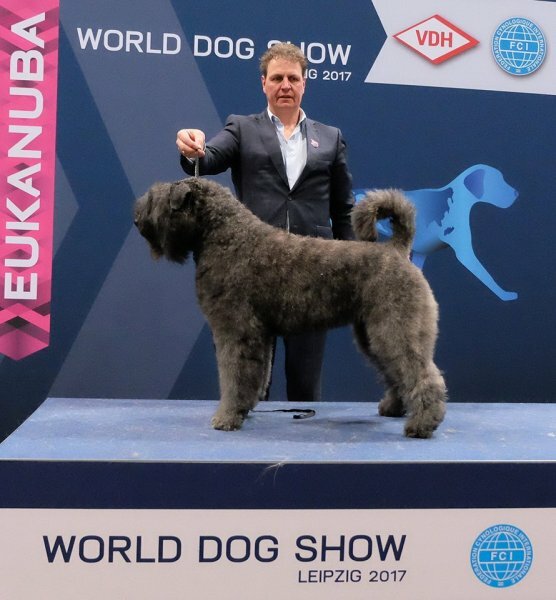 CZ, Champion ČMKU, Champion CZ, Champion SK, Champion Serbia,Junior Champion CZ, Junior Champion SK, Club Winner CZ 2015, Derby Winner 2014, Grand Prix Slovakia Junior Winner 2014, Winner Prag 2014, European Dog Show 2014 - CAC, Junior Winner SK, 14 x BOB, res. BIG, 7 x CACIB, 3 x CAC SK.